A basic rhythm with normal PQRST intervals/durations. Regular R-R intervals at a rate of 60-100 bpm (subject 6 years of age or older). 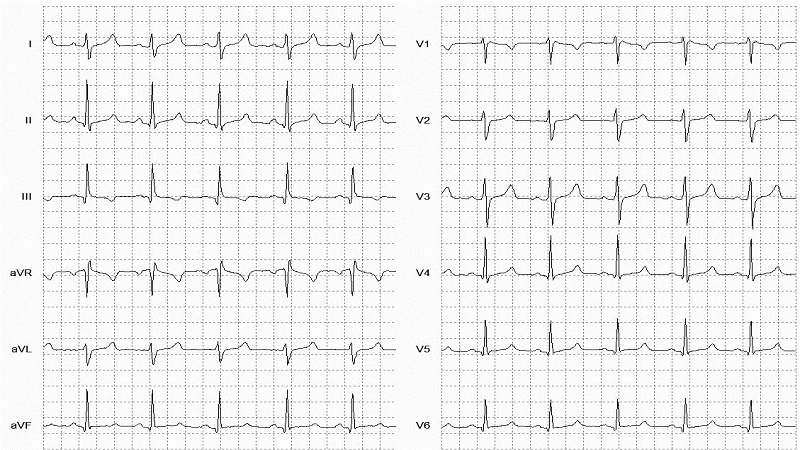 Each QRS complex is preceded by a normal P-wave. PR interval is normal and remains constant. QRS duration is < 100 ms wide.